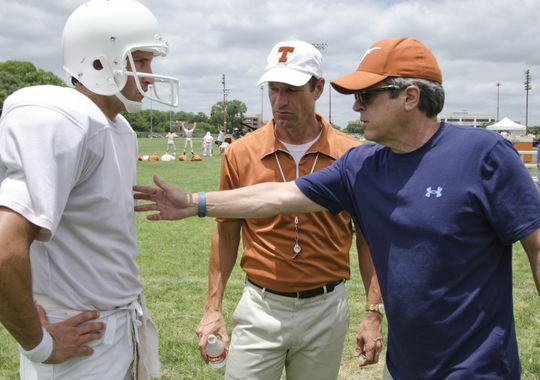 Writer of 'Hoosiers', 'Rudy' filming new movie at Alamodome - Oh No They Didn't! SAN ANTONIO - My All American has the makings of a classic: an all-star cast, a moving, true story, an authentic feel and a screenplay written by the mind behind Rudy and Hoosiers. The feature film, which is being shot in the Alamo City during the next week, is based on the true story of Freddie Steinmark, who was diagnosed with cancer six days after winning the 1969 national championship as a defensive back with the University of Texas football team. "This story is above and beyond football," said Angelo Pizzo, the movie's writer and director. "Football is the framework, the backdrop, of this moving story." 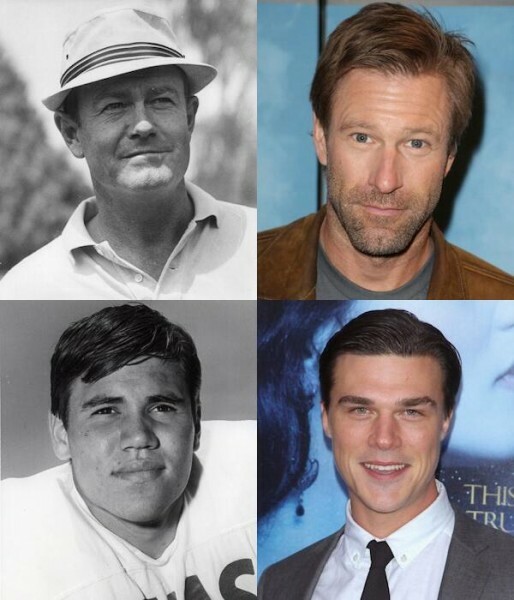 Golden Globe nominated actor Aaron Eckhart plays Darrell K. Royal, the Longhorns' football coach for whom their current stadium is now named, and up-and-comer Finn Wittrock plays Steinmark. Pizzo said the film's tone and story telling style will be similar to his previous works Rudy and Hoosiers, but that new technology will allow him to include even more "authentic, organic emotion." "We want the guys who played with Freddie (Steinmark) at UT to come out of the theater saying 'that's the way I remember it'," said Pizzo. Steinmark, an undersized safety and eventual leader of the team, was diagnosed with bone cancer and had his left leg amputated just six days after winning the national championship. Steinmark, who died at the age of 22, has been enshrined in Longhorn history: Longhorn players tap a bronze depiction of Steinmark's story before each home game. The movie will be exclusively shot in Texas and crews will visit Dallas/Fort Worth for five days, San Antonio for eight and Austin for 27 days. The portion of the film being shot at the Alamodome is a recreation of the Southwest Conference championship, played in Fayetteville, Arkansas, between the unbeaten powerhouses: #1 ranked Longhorns and #2 ranked Arkansas Razorbacks. The game was later dubbed the "Game of the Century." The dome provides guaranteed clear "weather" on set, as well as a shield from the blazing Texas sun, said Pizzo. 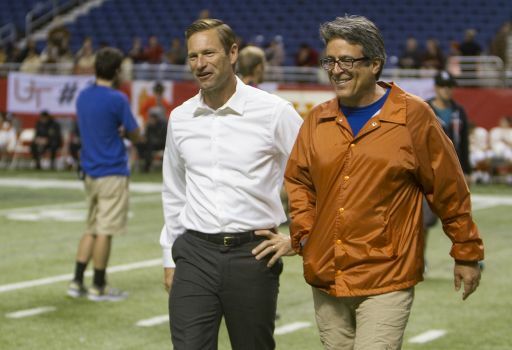 More than 500 extras from the region are participating in the production at the Alamodome, including two high school football coaches from San Antonio who are playing Arkansas coaches in the film. 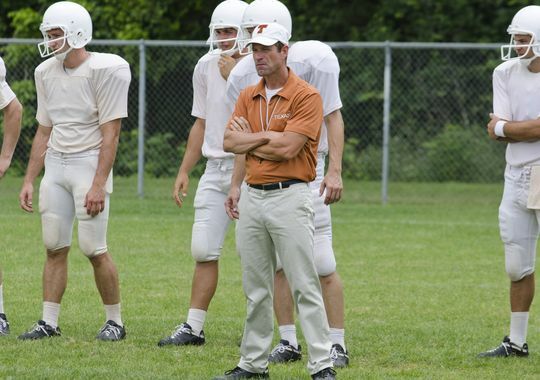 Andy Skelton, an assistant football and baseball coach for East Central High School, was hired as an extra but earned a few lines in the film. 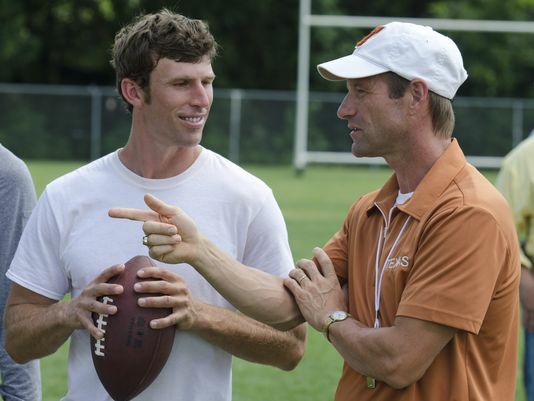 Bobby Allen, a football and track coach for Clark High School, also will appear in the film. 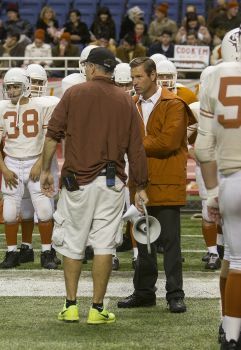 Financing for the film was raised independently from many UT alums, spearheaded by Austin energy executive Bud Brigham. When asked whether he expects this movie, which could be released as early as this December, to be a legacy film similar to Hoosiers and Rudy, Pizzo said: "I can only do the best I can to create a movie to entertain and move people and hope for success... Sometimes magic happens."